Beautiful dainty sleek Jet Black Crystals jewelry. A declaration of grace a delicate sensuality! 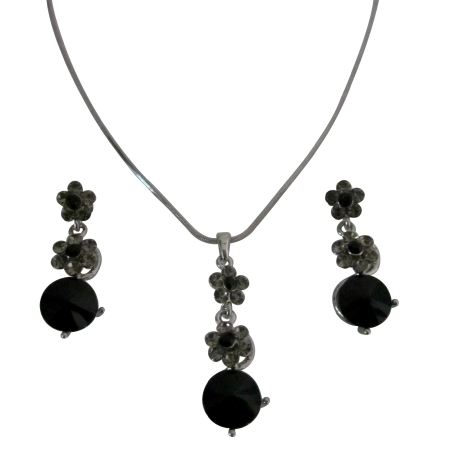 This is elegant sleek bridesmaid wedding jewelry in sparkling Jet Black Crystals Dressed in all Small flower & Stud Pattern Necklace & earrings Set looks absolutely gorgeous with all dresses evening or casual wear.